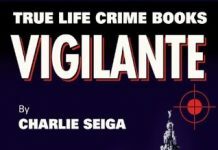 After reading Charlie Seiga’s first book “Killer” I was hooked and had to read the next one. 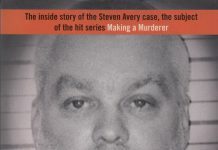 Killer is a great, well-written autobiography about the life of crime resulting in the acquittal for murder and I couldn’t see how the next book could improve. Well it did. And the story told is true. In Killer, Charlie tells us how he helped a fellow prisoner out while in prison. In The Hyenas this same prisoner was setting him up, and on release kidnapped, tortured and was ready to kill him. 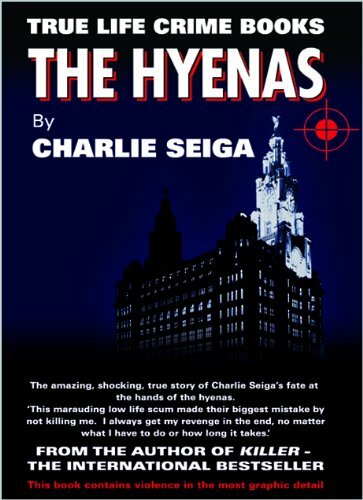 The Hyenas tells how Charlie was kidnapped and the viciousness of the torture that he received from the “low life scum” that carried out this terrible crime. He was threatened with a knife and gun, bitten and beaten and boiling hot water thrown over him. This torture lasted 2 days before being released instead of murdered and he was only released because one of the kidnappers was seen taking Charlie away otherwise he would have been shot there and then. Followed by the trial where the 2 out of the 4 that were actually caught thought they would actually get away it and yet for all that excessive violence the maximum sentance handed down was 12 years! A true story of a truly shocking, violent and senseless crime. No matter what you may think, heard or have read about Charlie Seiga this was totally undeserved and all for money. He was lucky to escape with his life. 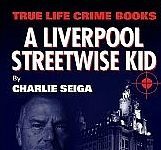 Very well written and while telling this gruesome story Charlie shows the differences between the “old time villains” who had respect, manners and honour (which Charlie still holds dear) to the vile low life of today who would rob a pensioner using extreme violence for their last £1. Along with the crimes he has committed, it also shows his good side in helping old neighbours who were terrified of being robbed by giving them his phone number in case they were frightened and fitting locks to their doors. Overall, another very powerful book by Charlie Seiga. A gripping read from start to finish. Yes, he has admitted to crimes and whatever you may think about the moral issues of villains and gangsters profiting from their crimes by writing books this one is worth every penny, very well written and is a true account of his life and the vile things done to him because of crime. 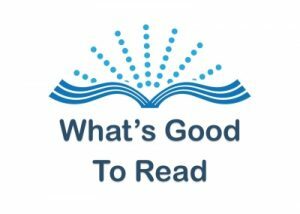 If you want a proper true crime book then I recommend reading Charlie’s books, they are extremely well written, absorbing and entertaining. If you only buy one book this year make it one by Charlie Seiga, you will not disappointed. I could not put it down.